Making simple syrup: In a small saucepan, dissolve the sugar in water. Bring to a near boil, lower the heat and simmer for about 5 minutes. Let the syrup cool completely. Extracting the cardamom seeds: Using a mortar and pestle. Pound the pods several times and the pod will release its seeds. Pick out the shells and discard them. Grind the cardamom seeds into a fine powder. Crush all the nits and gather about 1 teaspoon. 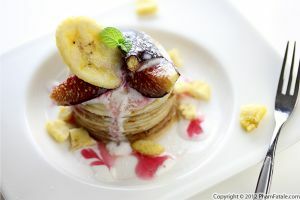 Assembly time: Combine the yogurt, buttermilk, milk, simple syrup, crushed cardamom, salt and crushed ice in a blender. Blend all the ingredients for about 2 minutes. While the mixture is blending, add the rose extract (if used). 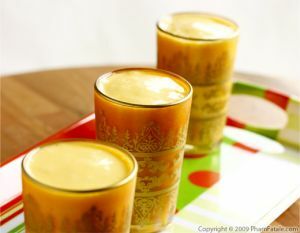 The consistency of the lassi should be smooth and frothy. Pour into 4 glasses. Stir well; some cardamom powder minght sink to the bottom of the glass. 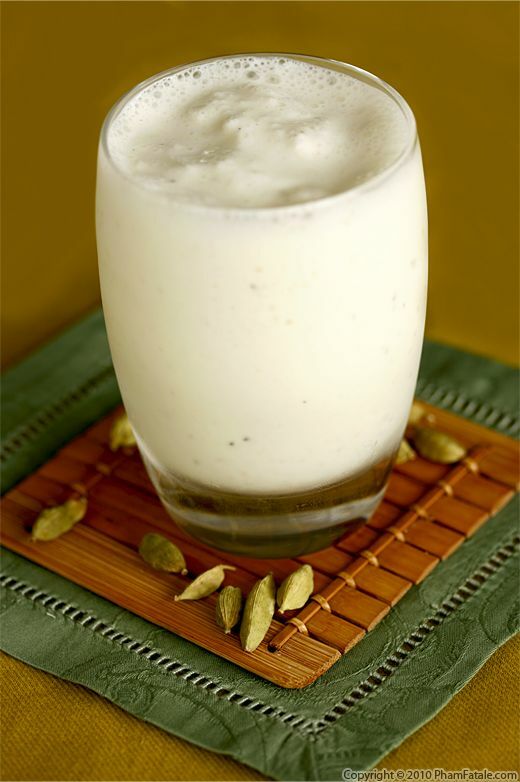 Some people like to blend the lassi with water instead of milk and flavor it with nutmeg and a hint of cayenne pepper, but I prefer not to. 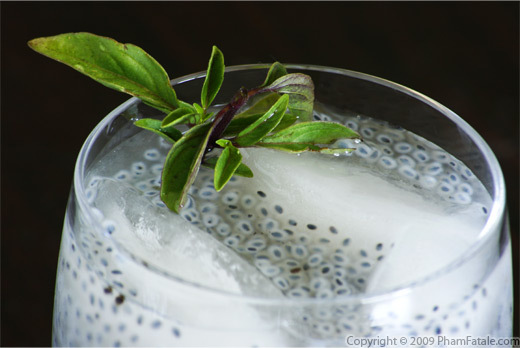 You can decorate the top of the glasses with crushed nuts (slivered almonds, pistachios or cashews), just as it's done for other Indian drinks, such as sharbat. I prefer to use superfine sugar. It's a fine-grained sugar and it dissolves much more quickly than regular sugar. 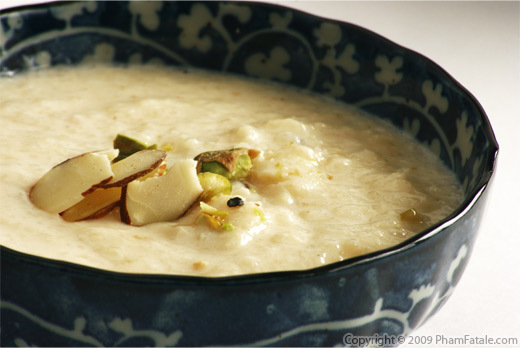 You can add up to ½ cup of sugar to plain lassi, but it's not meant to be too sweet. I used Greek-style yogurt because it's firmer and more dense than regular yogurt. I made my own yogurt last summer. It's easier than you imagine; making homemade yogurt doesn't even require a yogurt maker. 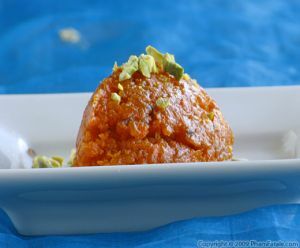 You can click on the link for the recipe. 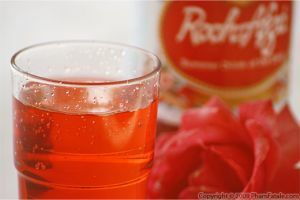 You can find rose extract at Indian stores. It's sold in small 0.7-ounce bottles. 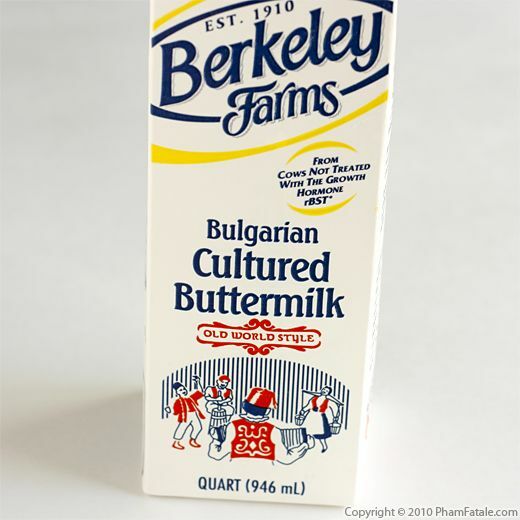 I buy Bulgarian cultured buttermilk at my local Middle Eastern market. If you live in the Bay Area, check out the Rose Market -1060 Castro St, Mountain View, CA 94040. I used the Vitamix blender for this recipe. It's kind of expensive, but so worth it. I got it as a wedding gift, and it's really powerful. It crushes ice into snow-cones almost instantly. It's perfect for smoothies. Just make sure there is some amount of liquid so that the motor does not burn. Vitamix also carries an additional container just for dry ingredients. 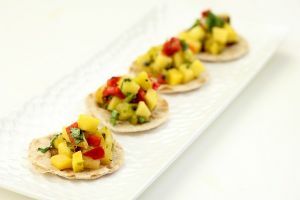 Check out the mango version using kesar mango pulp. 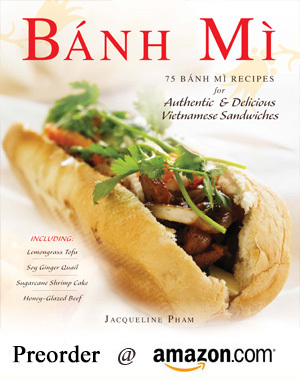 Published By: Jacqueline Pham on March 12, 2010.